Cord Fain isn't a man to cross--whether he wears a gun or not. And he isn't about to go along for the ride while his trail boss, Colonel Bane Taggart, steals land from hardworking ranchers. But even after Fain quits, there are plenty of others who'll do Taggart's dirty work. So Fain and his compadres are warning ranchers to band together. 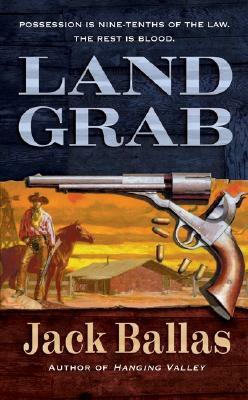 But one cattleman's daughter thinks Fain talks a good fight--for a man who never wears a gun. When he's gone one morning, she's not surprised. But he'll be hack. Cord Fain is no stranger to trouble--and he's renewing some old acquaintances who are more than a match for Taggart's crew.